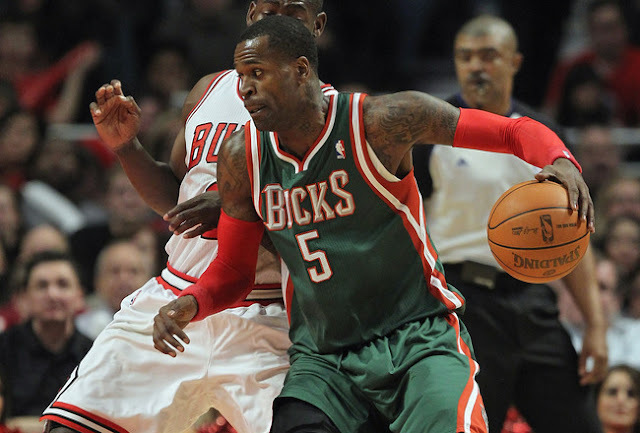 With the NBA trade deadline about three weeks away and a lot of speculation circling Bucks player Stephen Jackson whether he’ll be traded or not is still uncertain. However, I can tell you that the Milwaukee Bucks NEED to trade him as soon as possible. Jackson is obviously not happy with his situation in Milwaukee, and isn’t holding anything back. He's already telling media he isn’t happy with his playing time and would like his “situation” to get better. A lot of rumors and reports have already hit the airwaves saying that Dwight Howard would like to play with Stephen Jackson on the New Jersey Nets. Well, before any of that happens Dwight would of course have to be traded to the Nets first, but I don’t see any trade happening with Orlando since this year's NBA All Star game is being played in Orlando. Its unlikely that Orlando would trade Dwight Howard before the All Star game to only see him back in the arena with a new team’s jersey. Once the all star weekend is over I’m sure trade rumors will heat up big time and might actually see a three way trade with the Orlando Magic, Milwaukee Bucks and the New Jersey Nets. If Stephen Jackson is traded that would get rid of his pricey ten million dollar contract for a player that Bucks head coach Scott Skiles has coming off the bench. If Milwaukee can swing a trade I think the main concern would be to address the center position. With Andrew Bogut out for possibly the rest of the season and forcing the duties of the center position on Drew Gooden won’t work. Gooden is 31 years old and can’t play every single game, playing Jon Brockman certainly won't work and starting rookie Jon Leuer isn’t a better substitute either. Thankfully Ersan Ilyasova has been a rebounding machine and able to give teams trouble in the paint. Last night against the New Jersey Nets, IIyasova had a career high in points with 29 and also a career high in rebounds with 25. I'm expecting the Bucks to make a trade before the deadline for draft picks or a center, Anything is fine at this point just get Stephen Jackson out of Milwaukee. Let’s hope the Milwaukee Bucks will turn it around so we can see them in the NBA playoffs this year.